To view details of a portlet/gadget, simply select one portlet/gadget in the left panel. The details of that portlet/gadget will be shown on the right panel. All portlets and gadgets grouped by categories. The path of the portlet/gadget. 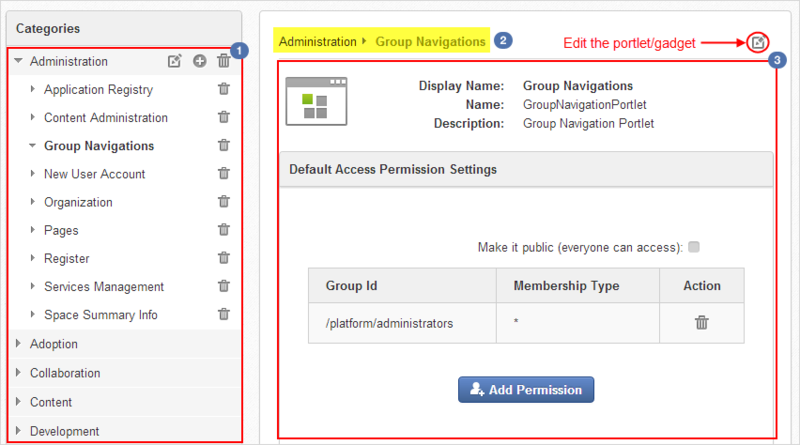 Details of the portlet: Name, Display Name, Description, and information on the Access permission. Click on the top corner of the right panel. The Edit Application Information form will appear. 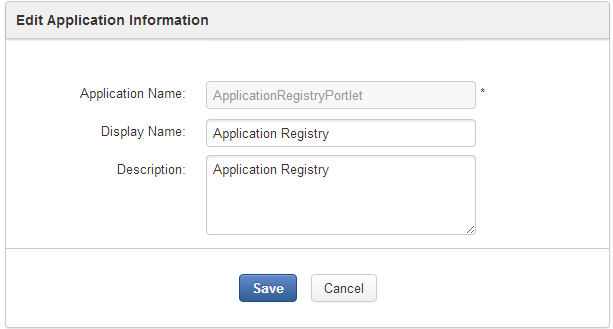 Make changes on the fields in the form, except Application Name.